In many ways Criccieth is still a traditional seaside holiday town where families can enjoy the simple, timeless pleasures of time spent together, whether on the beach, exploring the castle, walking in the countryside, enjoying the locally made renowned Cadwaladers ice cream… or sampling a meal in one of our many restaurants! Criccieth has not one but two wonderful beaches, each with safe bathing, access for boats and kayaking and great rock pools at low tide. There are also many more wonderful attractions and experiences awaiting you in the surrounding areas, whether you love railways… rambling… horse-riding… history… fishing… biking… snorkelling… golf… there’s something for absolutely everyone! 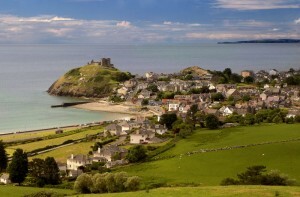 The town of Criccieth is dominated by the impressive remains of its 13th Century castle, dating from the reign of Llewelyn the Great (1200-1240). 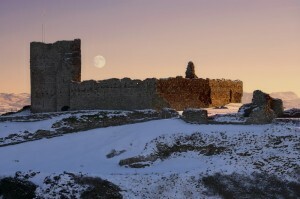 The museum attached to the entrance is well worth a visit, as is the castle itself. Another ancient landmark is St Catherine’s Church, dating back to the 14th Century. The emergence of Criccieth as a Victorian seaside resort came in the 19th Century as a result of the building of the turnpike road running through Criccieth from Tremadog to Porthdinllaen (the proposed principal harbour for Ireland in 1807), and also more importantly, the railway, in 1868. The nearby village of Llanystumdwy is an important local historical attraction, being the birth place and site of the museum commemorating the life and political history of David Lloyd George, Prime Minister of Great Britain between 1916 – 1922. A visit to the museum is well recommended as a living history of this great man’s life and times. ‘A Heritage Walk’ around Criccieth is highly recommended for those interested in exploring Criccieth’s wide and varied history and can be obtained from the Tourist Information Point located at Criccieth Post Office.